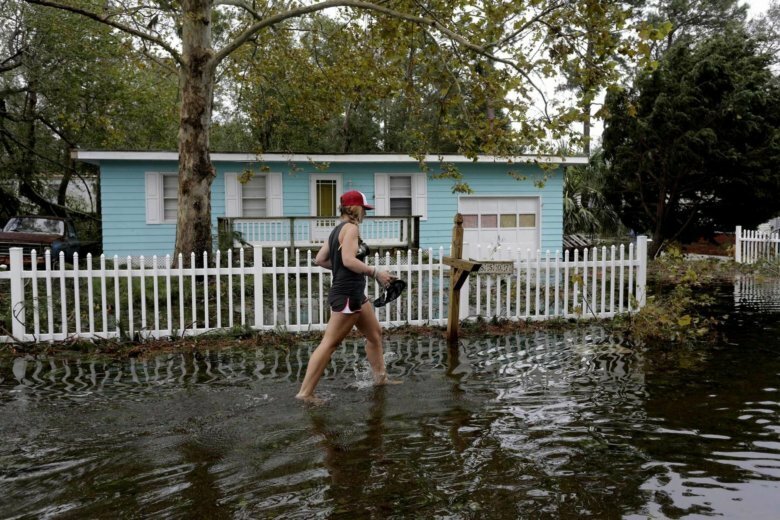 In the aftermath of Hurricane Florence, thousands of people in the Carolinas are still waiting to return to their homes. Those who have are assessing the damage. Catastrophe modeling firm AIR Worldwide estimates insured wind and storm surge losses for Florence between $1.7 billion and $4.6 billion. The exact financial impact will become apparent over time as insurance claims roll in. For policy holders, it’s important to know what exactly is covered. Insurance industry experts say there are a number of things homeowners and others should be aware of as they try to recover from the mess that follows a natural disaster such as this. When it’s safe to do so, make any temporary repairs to prevent further damage to your home or property. That could be something as simple as putting a tarp over a hole in the roof or plywood over a broken window. It’s important to document as much as possible to ease your claim process, so take photos or videos of damage and save all receipts for supplies purchased for repairs, said State Farm, a major insurer in the Carolinas. Try to get the claims process started as quickly as possible by reaching out to your insurance company, although many insurers will reach out to affected policyholders directly. Most major insurers have disaster teams in place that come to the affected area to start the process in person, but claims can begin on the phone or online as well. A storm such as this may necessitate making claims through multiple insurance policies. The exact limits of your coverage depend on your policy but they follow a general framework: Property damage from wind is covered under standard homeowners, renters and business insurance policies, according to the Insurance Information Institute. But flood damage, which appears to be a major issue following Florence, isn’t covered through a standard homeowners’ policy. That is traditionally separate coverage purchased through the federal government’s National Flood Insurance Program, although some homeowners may have purchased flood coverage through a private insurer. Renters’ coverage covers only the renters’ possessions; the landlord insures the structure. And wind and flood-caused property damage to a personal vehicle is covered under an auto insurance policy’s optional comprehensive coverage, according to the Insurance Information Institute. The industry group said that nearly 80 percent of U.S. drivers choose to purchase comprehensive coverage. Ask your insurance agent or claims representative for details on your coverage and limits. Again, the limitations depend on your exact policy but many homeowners’ policies will typically help cover costs beyond just damage to a structure or belongings. Ask your insurance representative about help paying for the costs of evacuation, temporary housing if your home is uninhabitable or damage to a structure caused by fallen trees or flying debris. Additionally, if you are worried about lost wages because of missed days at work, talk to your employer. A lot of businesses have insurance policies that include a provision called “ordinary payroll” that allows them to pay employees for a set number of days when they are forced to miss work due to mandatory evacuation, said Clark Schweers, forensic insurance and recovery practice leader at professional services firm BDO. The Federal Emergency Management Association provides various forms of financial assistance after a disaster but it must be declared a federal disaster first. President Donald Trump has approved major disaster declarations for numerous counties in North and South Carolina. To find out if you qualify for individual assistance, visit disasterassistance.gov and enter your address. The site can also point you toward FEMA Disaster Recovery Centers, which are mobile offices set up after a disaster to help those in the area, and other resources. — Be wary of sales representatives or contractors going door-to-door soliciting business. If you have any questions about their legitimacy, contact your local Better Business Bureau or check out their reputation through online clearinghouses such as Angie’s List or Yelp. — Contact your insurance company before signing a contract for repairs to your home. — Only work with licensed and insured contractors. — Get more than one estimate. Don’t be pushed into signing a contract right away. — Get everything in writing, including the cost of labor and materials, and a work schedule with a completed date. — Get IDs from sales representatives. Write down the representative’s name, driver’s license number and license plate number in case problems arise. — Never pay a contractor in full or sign a completion certificate until the work is completed. If you think you’re being scammed or want to report suspected fraud, contact your state’s department of insurance.